SSystem 3 get balls of steel by releasing 10 classic pinball tables to the Wii and PSP. There's something that was lost from the arcades sometime ago. A symbol of a by-gone age that is sorely missed by some: the pinball table. Now, System 3, creators of The Last Ninja series, as well as International Karate, is boxing together 10 classic Williams pinball games for Williams Pinball Classics, set for a Spring 2009 release. 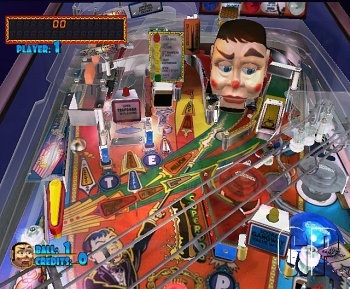 The compilation will include tables such as Funhouse and Pinbot, to add to the Gottlieb release of 2006. Whilst Williams is perhaps known best for Defender, they started off back in the early 40's with pinball conversions, and has now moved into slot machines for casinos. Whether we will see the delights of tables like The Twilight Zone or The Addams Family is still up for grabs, but if either appear, this will be worth buying solely on that basis.